CSS is an important aspect of every modern web application. But for web app developers, CSS is often overlooked, or considered less important when compared to coding and programming behind the app. But the fact is that CSS and coding are pretty much the same animal—it’s easy to write code that seems to work, but closer inspection shows that tons of things are written poorly. Creating a maintainable and DRY CSS code without any help from preprocessors makes life hard. That’s why you rely on a good preprocessor to start off. There is a reason behind the phrase “CSS with superpowers”. A good preprocessor equips you with bunch of great fundamental features that keep your code cleaner and easier to maintain. At Netguru, we love Sass with SCSS syntax (it’s compatible with pure CSS), but you might also want to try Less or Stylus. You probably use a style guide for JS or Ruby. There should be no exception with CSS. It’s extremely important to start project implementation by defining the style guide. Each style guide should cover every aspect of syntax, rule ordering and naming conventions. Sounds like a lot of work? Don’t worry, a lot of great companies keep their CSS style guides public, so you don’t have to start from scratch. Sass Guidelines is also a great place to start. I believe that you should automate your processes whenever possible. 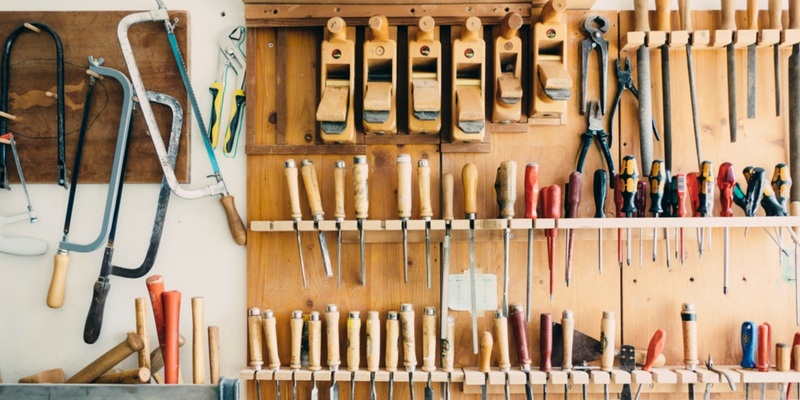 Luckily, there are several tools that make sticking to style guides easier. Try scss-lint for local development (there are Sublime and Vim plugins available as well). When you’re hosting your code on Github, I highly suggest trying Hound. It’s a great tool which reviews Github commits or pull requests for styleguide violations. Since Hound relies on scss-lint, you won’t have to create different config files. Whenever it’s possible, use power of CSS (for shadows, transforms etc). Make sure it works properly in all modern browsers by adding vendor prefixes. Help yourself by using Autoprefixer - it does the dirty work for you. Try to keep your CSS files short and clean (i.e. under 100 lines of codes). Divide your code into components and views. If you’re reusing the same objects across the site, it’s perfect candidate for components. If your design is unique to a site, define it in one of views stylesheets. It’s a good practice to avoid hardcoding values when redundant. 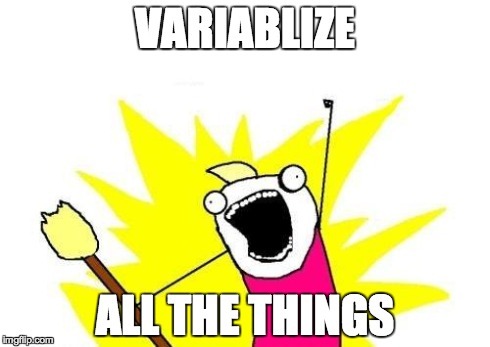 Variables provide better control and good limitations to your code. Use as many variables as necessary - you’ll end up with static CSS anyway. Colors and fonts properties (font-weights, font-families or font-sizes) are must-haves. This way you have a handy overview at all layers. Another Sass superpower. They really help to keep your code DRY - nothing more to add here, I guess! If you’re not familiar with mixins or extends, read about Sass features and kicking off UI development. More and more devices come with high resolution screens nowadays. To provide a sharp look for your app on Retina displays, use vectors instead of static images. Play with SVGs and icon fonts whenever possible. They’re pretty awesome since you can easily change color or size without creating separate files, which results in smaller data sizes. Import only the components that you actually need. You can find the full list of Sass components on GitHub. Comment out files that you’re not going to use - it will result in smaller production stylesheets. The code of each component should come directly from GEM or NPM/Bower packages. This helps to keep your codebase up to date with the framework. Unfortunately, if you have a custom design, you won’t be able to change everything with variables. Sometimes standard overrides are the only way. A good practice is to keep overrides organised the same way as framework components. That way, in framework/overrides/_navbar.scss you override the navbar component and navbar only. Start by importing z-index and custom variables so that you can use them as overrides in framework variables. Import all framework components with overridden settings after that. Continue with breakpoints vars (you probably want to use framework variables here) and the utilities directory so you can use your helpers when creating framework overrides. Finish with importing component and views (in that order so you can override component per view if needed). Import each of them one by one in order to have full control over the order. That’s it! This is my recipe for writing good and scalable CSS architecture. I hope the rules and overview at the structure pattern will help you to write better and cleaner code. Feel free to share your thoughts and questions in comments! If you like the pattern I've described, check out Bootstrapper - the gem for Ruby on Rails apps that will generate file templates for you. This topic was originally covered at Frontownia meeting in Poznań - here's my presentation on CSS architecture.